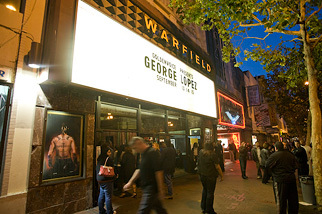 The Warfield is a 2250 person venue and has been a San Francisco institution for 86 years. Opened on May 13, 1922, it was built by showman and theatre chain owner Marcus Loew, who named the showplace after his old friend David Warfield, a native San Franciscan who began as an usher and grew to be one of the greatest silent film actors of his time. The Warfield was originally built as a vaudeville and movie palace and became a concert hall in 1979 when Bill Graham Presents booked a two week run of shows with Bob Dylan. The esteemed hall has been rocking ever since.